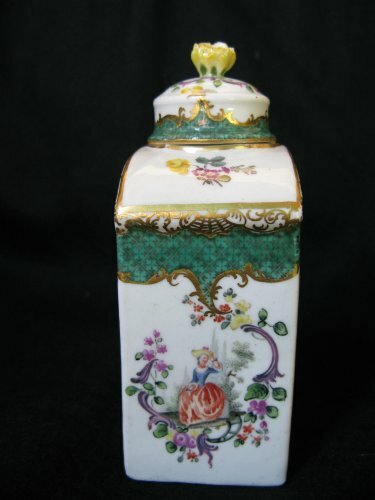 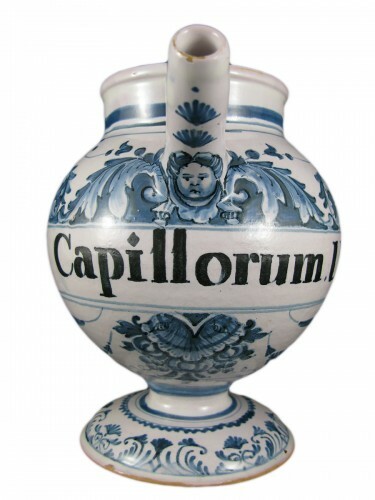 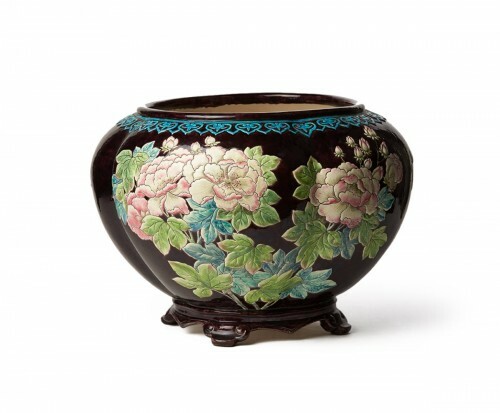 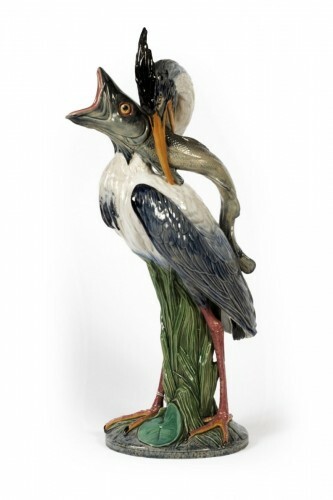 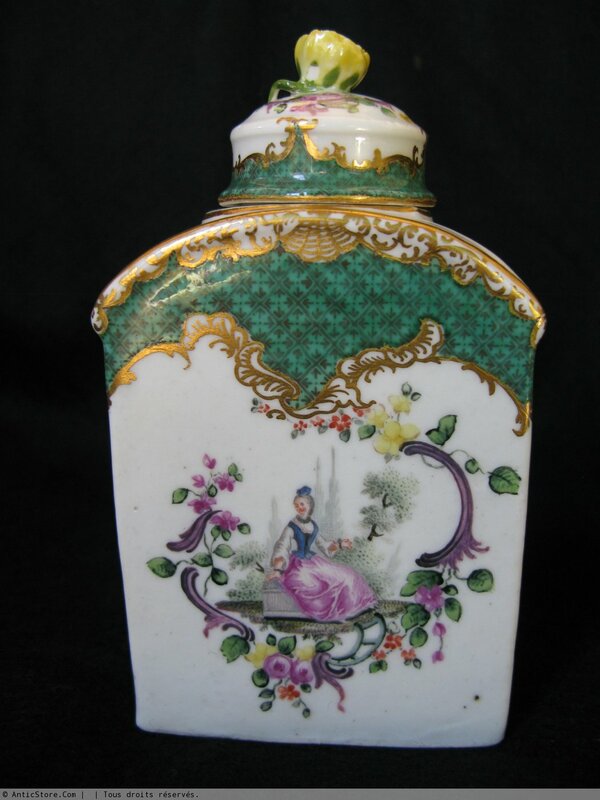 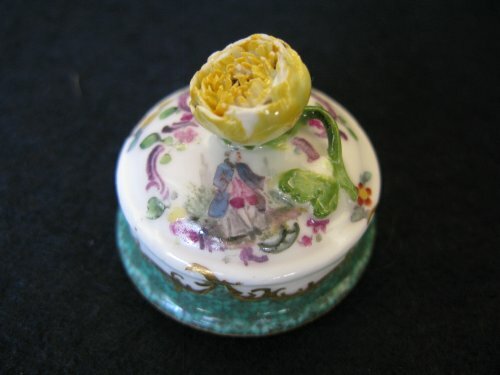 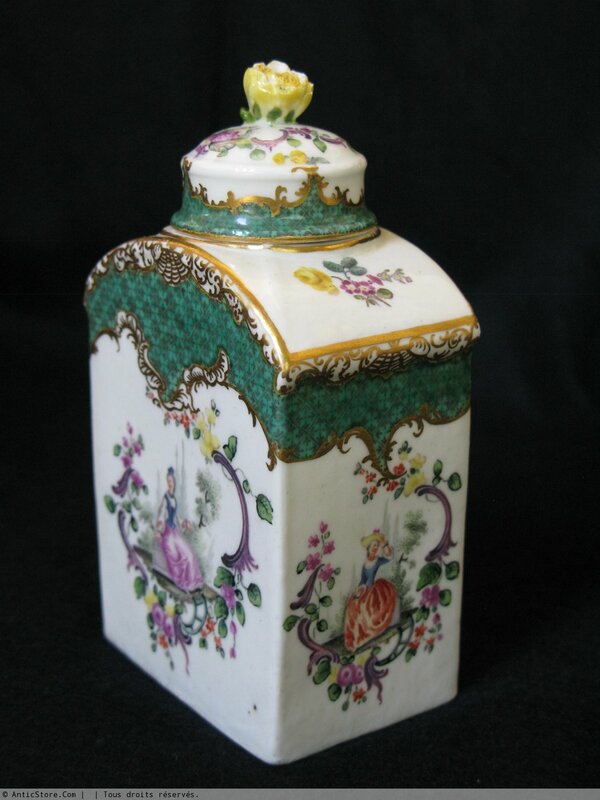 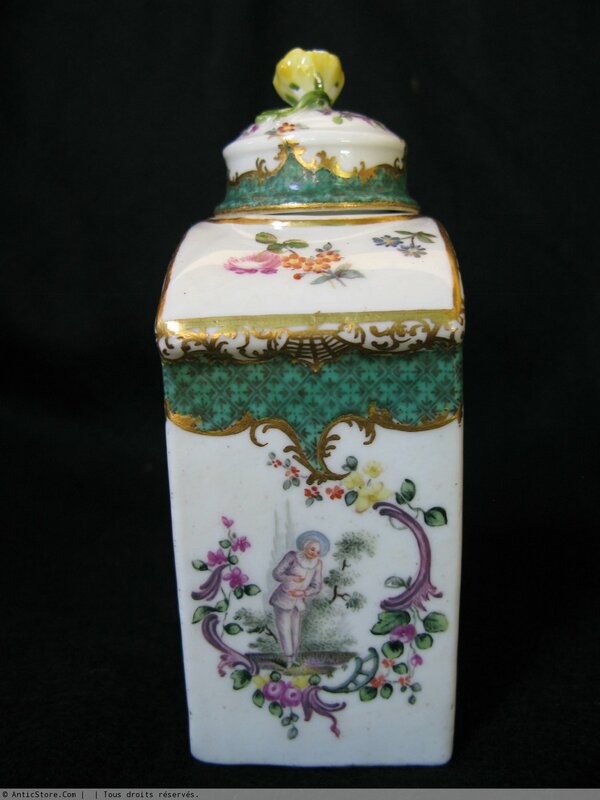 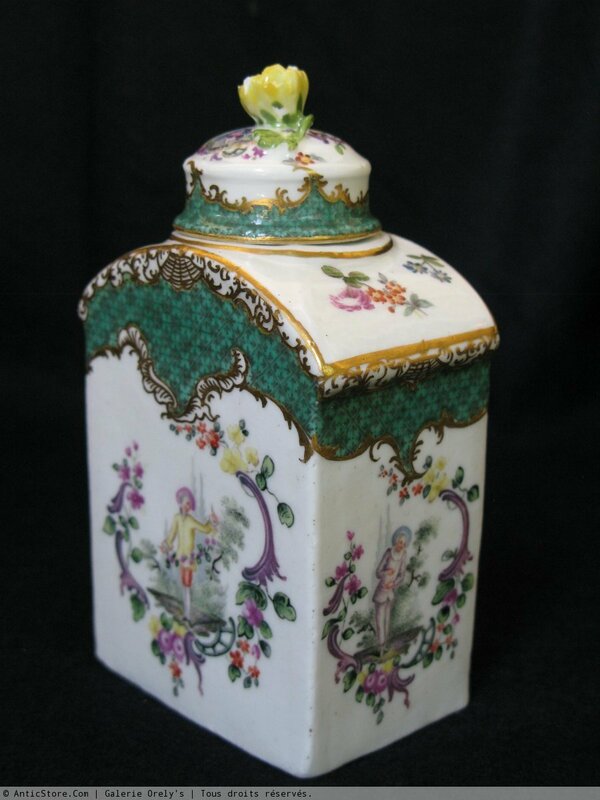 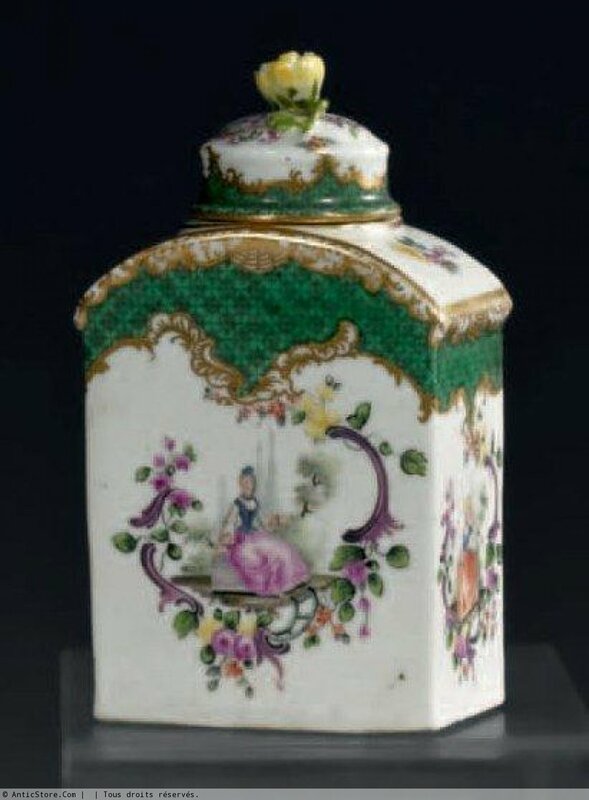 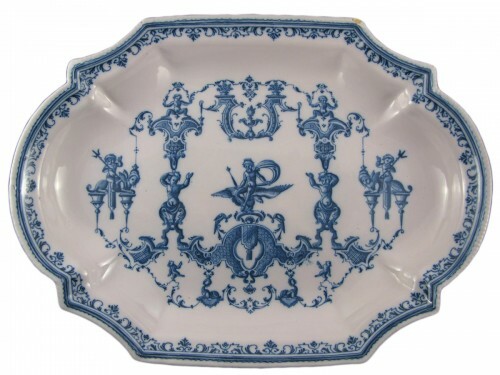 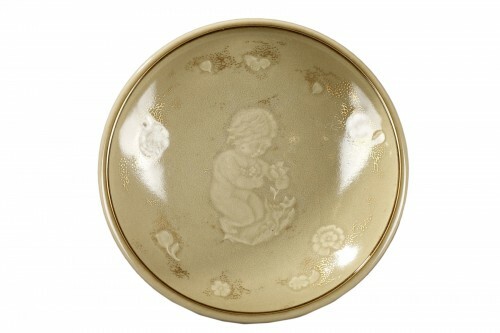 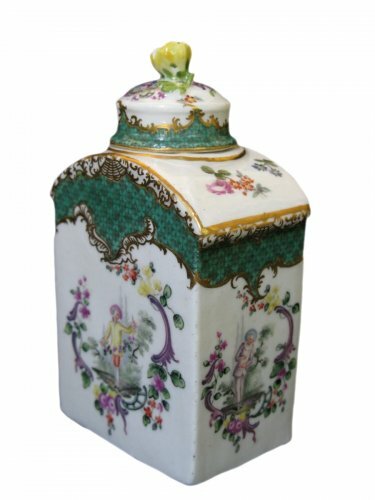 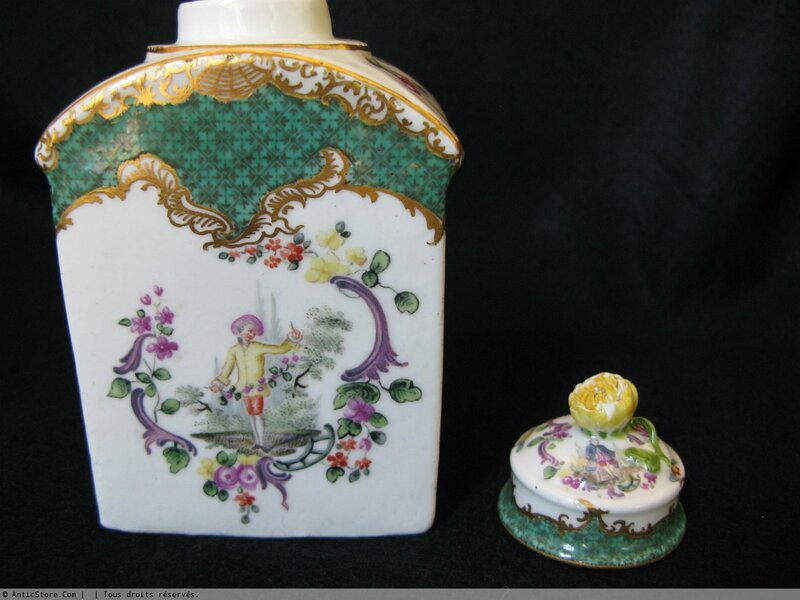 Meissen porcelain Tea box. 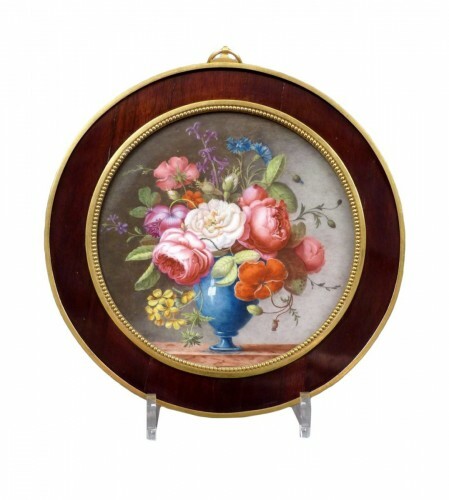 Polychrome decoration, characters in floral reserves in the style of Watteau, topped grids on green background, surrounded with golden foliage. 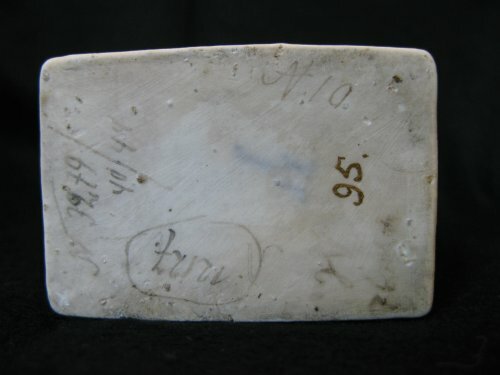 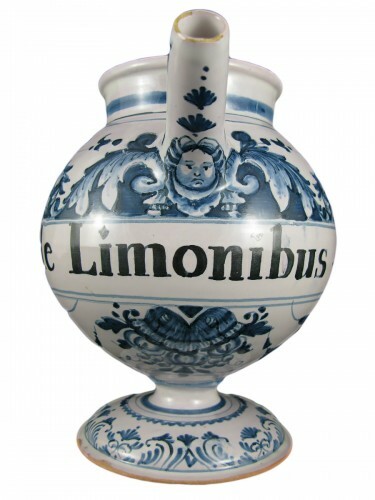 Period: XVIIIth century (circa 1750). 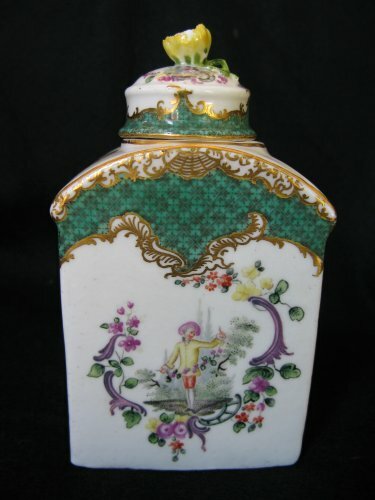 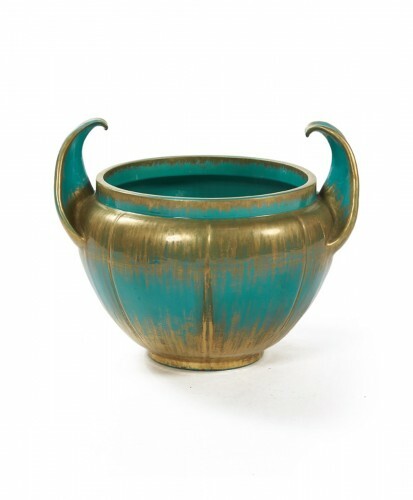 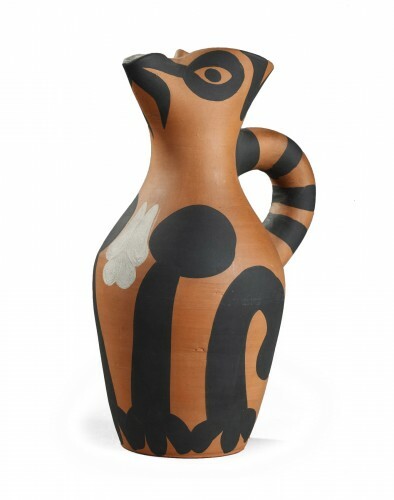 Brand crossed swords under the body and figure 95 gold under the body and inside the lid.